If you are thinking about gold investing, there are a number of ways that you can achieve this. You can take possession of the bullion you invest in if you choose coins or bars, or you can use an electronically traded fund for your investment needs, and not worry about bullion’s storage or transportation. Both methods have drawbacks as well as advantages, and you should evaluate each carefully before determining which method is best in your specific investment circumstances. A gold ETF investment is an option that has become very popular with investors. These funds offer some diversity, and can help hedge against large risks and losses. That does not mean there are no risks involved with this form of gold investing though, and these funds are not ideal for all investors. To determine which fund is the best you do need to have basic knowledge of how they are run, how to read financial statements and look at charts. Another important aspect is fees that some of these funds have, a no load fund may be an ideal option if you are just starting out. One of the biggest benefits of such investment mechanisms is that you do not take possession of actual bullion but rather buy into a company that focuses on investing into bullion or precious metals derivatives. A gold bullion investment also has benefits and cons when you buy coins, ingots or bars as well. 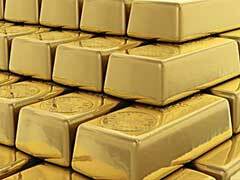 Gold investing in this method means that you accumulate bars and coins, and for many investors this is the way to go. As you accumulate your investment you can look at it and hold it, unless you buy large bars that are securely stored in a vault. Gold bullion coins may have a few disadvantages over ETFs, but many investors prefer to collect these coins instead of using a managed fund. With an ETF, a manager usually makes the important decisions, but this is not the case with gold investing using coins. With physical bullion there are always costs that come with storing them, unless you decide to keep them in your coffee jar, not the safest method. Whether you buy gold bullion bars, coins, ETFs or some other form of gold will depend on your personal preferences and what you are looking for from your investment activity. Gold investing means looking at all of your available choices and options for buying and selling, and then deciding whether coins or ETFs are best for you. Each investor will have different needs, and you may find that one gold investment choice is better in your situation than the others.